Goodbye Yellow is Schwarzkopf Professional's first highly-pigmented, anti-yellow wash. Free of SLS/SLES sulphates, this wash provides a gentle cleansing action and instant tonal deposit to counteract and neutralise underlying warm tones. Apply 1-2 times per week to the hair, leave for 5 minutes before rinsing. 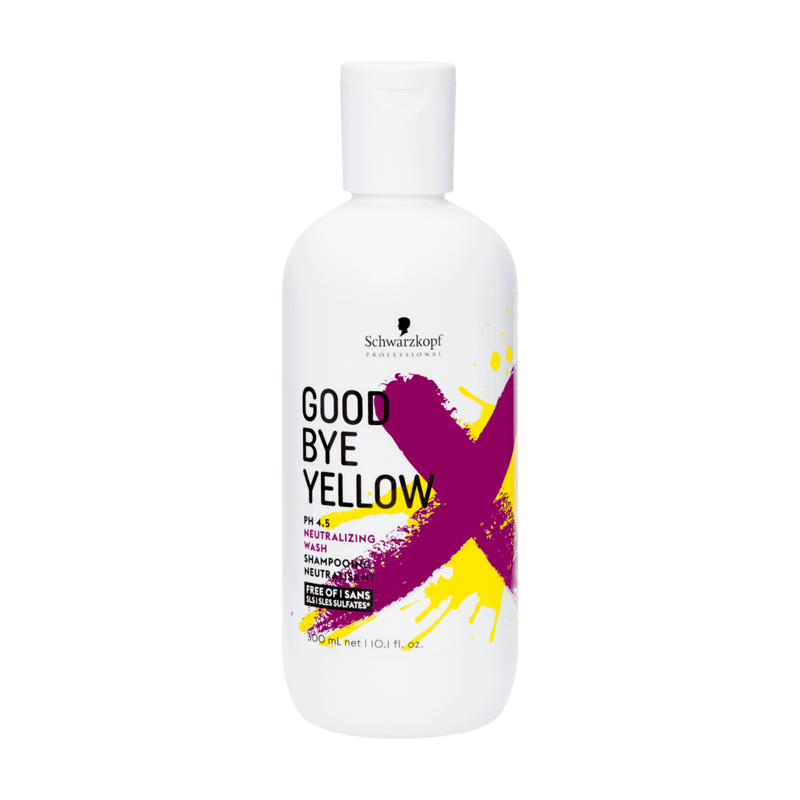 The Goodbye Yellow anti-yellow shampoo quickly neutralises any stubborn yellow undertones on lightened hair at the backwash for the coolest blonde results in no time. The unique 4.5pH formulation helps the colour pigments to adhere to the hair quickly for maximum neutralisation. A combination of colour deposits and active washing substances allows for neutralising, cleansing and care in one simple step.